A Washington C.H. man with an active bench warrant for his arrest was taken into custody by police Friday and was allegedly found with a large amount of methamphetamine. 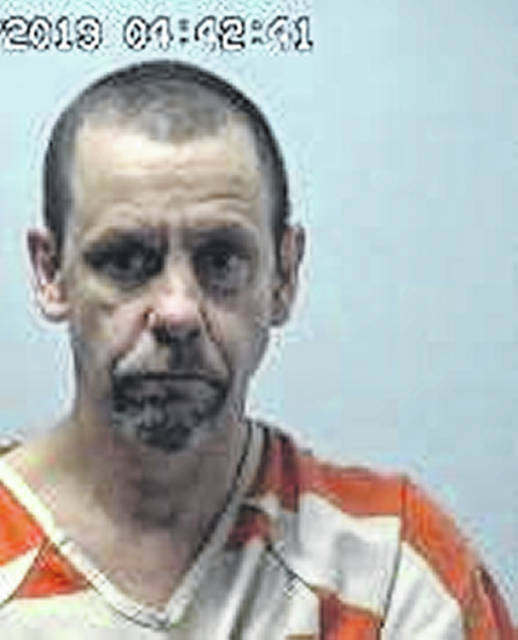 Kevin W. Perry, 46, of 818 N. North St., is being held in the Fayette County Jail on felony counts of trafficking in drugs, possession of methamphetamine, trafficking in or illegal use of food stamp card, and misdemeanor counts of possession of drug paraphernalia, possession of marijuana and possession of marijuana paraphernalia. Just after 2 a.m. Friday, a Washington C.H. Police Department officer observed a vehicle that had an active BOLO (Be On The Lookout) notification for unauthorized use through the Fayette County Sheriff’s Office. The officer stopped the vehicle behind 513 Earl Ave., and the passenger, identified as Perry, quickly exited the vehicle and proceeded to walk toward the residence, according to reports. Perry reportedly told the officer he was there to visit friends of his inside the house. Perry allegedly informed the officer he had a knife in his pocket, and subsequently, the officer detained Perry in handcuffs while checking with the driver of the vehicle. The driver was identified, and the residents of 513 Earl Ave. told the officer they did not know Perry or the driver. Perry’s bench warrant was out of Washington Municipal Court for failure to comply. He was then placed under arrest and during a search, a baggie of marijuana (approximately five grams), digital scales, a methamphetamine pipe with burnt residue, and a marijuana pipe with burnt residue were found in his coat pocket, according to reports. Also, a Ohio Direction card belonging to another person was found inside Perry’s wallet, police said. A search of the vehicle allegedly found a large baggie of suspected methamphetamine inside of a Crown Royal bag on the passenger floorboard. Given the amount of meth (approximately 11.64 grams), $175 in cash was seized from Perry’s wallet. The drugs were field tested at the police department and tested positive for meth. While being changed into jail clothing at the Fayette County Jail, a blue cellophane baggie was allegedly found inside his sock by sheriff’s office deputies. The sheriff’s office advised it may charge Perry with conveyance into a detention facility because he was asked multiple times if he was in possession of any illegal narcotics prior to entering the jail.